When you are released from treatments by your Primary Treating Physician, or an evaluator such as QME or Agreed Medical Evaluator If the releasing doctor’s medical option that reached your “Maximum Medical Improvement(1)” (MMI) or so-called you became a “Permanent and stationary” (P&S), you should receive your final medical report. The physician who prepares this final medical report should provide a percentage of the “Whole Person Impairment” (WPI) you have suffered as a result of the injury, as well as explain what type of medical care you will need in the future. 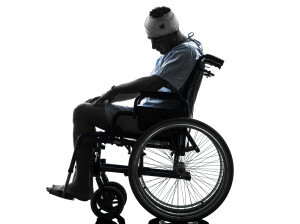 If you don’t completely recover from the effects of your injury, and your final report shows permanent disability impairment, then you may be entitled to a monetary award which can be secured with the help of a California workers’ compensation lawyer. The amount of the award (and the weekly rate at which it is paid) depends mainly on how your work injury limits your activities; it is also affected by your age, your occupation, and your earnings at the time of your workers’ compensation injury. According to workers’ compensation law, after your condition has been declared permanent and stationary, you may be entitled to permanent disability benefits according to the workers’ compensation law schedule. Converting the percentage of whole person impairment (WPI) to permanent disability and calculating the exact permanent disability rating is very complicated, as such you need and workers compensation attorney who is an expert in the AMA and calculating the disability rating.